The Immigration to Australia from India requires you to have the necessary documentation. Tourist visa of Australia from India, is one of the most popular Visa Streams. What is a Visitor Visa? Tourist Visa – It includes a holiday or recreation, or visiting family and/or friends. Business Visitor Activities – It includes attending a conference, negotiation or an exploratory business visit. The Visa Application charges for these particular streams of Visa range from AUD135 to AUD1000. Ideally, the processing time for this Visa is 48 hours to one month. Satisfactorily meeting the required health and character parameters. Ownership of sufficient funds or resources to finance the stay in Australia and the trip back home. Convincing the Immigration Officers that one is going to be doing activities covered by the Tourist stream. As per the latest update, Indian nationals can apply for Tourist Visa for Australia from India, online from 1 July 2017. The ability to check the status of applications submitted online. With the applicant’s permission, the online form can also be completed by a third party such as a family member in India or in Australia, a travel agent, or a contracted visa application centre. With online applicability, the processing time for these visas has become considerably faster than earlier. This is due to the fact that online submission of the applications and the necessary supporting documentation ensure their immediately availability to the processing office, thereby reducing the processing time. The essential tourist visa application form 1419 is to be submitted along with the following required documents, i.e. In cases of Visa Application, in order to avoid any unnecessary delay due to an error in application or documentation, it is advisable to always hire a registered Australian Visa Consultancy Firm. The Consultancy Firm will systematically guide the applicant through the process from the beginning to the end. To be on the safer side, before applying for the Immigration to Australia from India, make sure that you thoroughly read all the information regarding the Tourist Visa on the online portals. Re-checking the documents before submission is a good idea. And most importantly don’t skid through the application process in a hurry. Understand, check again and then submit. Latest CRS Draw of May 31, 2017 Ended With Inviting 3,877 Invitations! Which is the Better Country to Settle Permanently in, Canada or Australia? 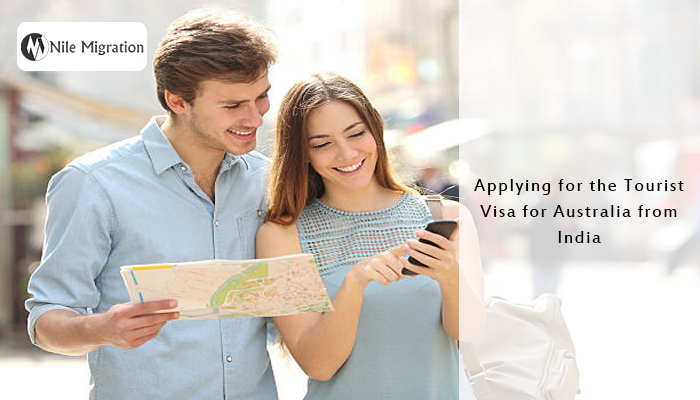 Visa Services Tourist visa of Australia from India. permalink. Let’s Grant our Oldies Some Immigration facility!